Astrology predicts—or so they say. Prediction is only one of Astrology’s functions. Astrology predicts events and marks time, but most of all, Astrology identifies your role in the universe—who you are and how you can best fulfill your purpose. 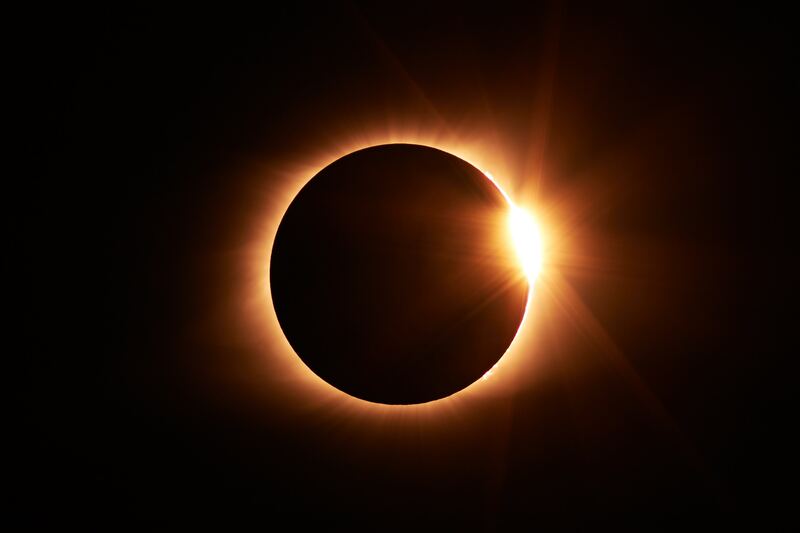 For example: one of the most meaningful eclipses was marked by Einstein’s discovery of relativity. The New York Times published the news of Einstein’s confirmed discovery on Nov. 7, 1919, while there was a partial lunar eclipse. The European Space Agency has referred to this celestial event as “probably the most important eclipse in the history of science.” Coincidentally, as a result, Einstein became known not only to scientists, but to non-scientists as well. This date marked the entrance of his fame and the acknowledgement of his discovery. See what can happen during an eclipse? As an astrologer, I am often asked: What does it mean—Mercury retrograde? An eclipse? A full moon? These are great questions. The short answer is there are always lessons to be learned—and markers to be noticed—that can shift a whole society. On a personal level, they can change the story for you and your world. In January 2019, there are two different kinds of eclipses happening. A partial solar eclipse is happening on Jan 5-6, 2019, followed by a total lunar eclipse on January 20-21. I know now you are going to ask the age-old question: What does this mean for me? I want to answer that. You need to know—it’s important…but to look at your personal chart specifically, in order for me to see how it will affect you, I would need your birthday, birth time, and birthplace. Astrology is always very specific and unique to just you. For example: as soon as Jupiter entered Scorpio last year, within a week we were hearing all about Weinstein and his sexual escapades, the ‘me too’ movement began, and so it should have, said the stars. Jupiter (expansion) moving into the sign of Scorpio (sexual secrets)—it fit perfectly. Now last month, on November 8, 2018, Jupiter entered Sagittarius. Expansion yet again, says Jupiter, but this time, it’s in the sign of telling the truth (Sag). Within a week: we are face-to-face with our political attacks on each other that always address a favorite Sag topic: who is telling the truth? Truth-telling is going to be a theme for this upcoming year. Lies and honesty—the topics Sagittarian’s love to speak too. For the collective, the upcoming solar eclipse will hit the top of our universal chart—we call that the house of public attention. With a universal Aries rising, it will land in the 10th house…marking a time for politics to come face-to-face with its dark side. This is the theme of the 10th house: the dark and light of leadership and its pretenses. The total lunar eclipse on January 21 is at 0 degrees Leo, which is all about the entrance of our egos. What if this new year we put our egos aside and valued the simple principles of honesty and democracy? This eclipse would be a marker like it was for Einstein. Let’s look at politics without an ego-centered conversation, and let each of us have our point of view that will allow for, if nothing else: kindness. While we cannot look directly at your chart to see where these influences touch you personally, we sure can go to the big picture and speak to the universal, identifying how the power of the stars are influencing us. This is where we stop time, use the eclipses to call our attention out to review, and then let Jupiter inspire the conversation about truth, honesty and realness. With or without politics: that’s what 2019 is asking for. If you want to learn more about how to do that…we have a school starting in January that will make this astrological content far more personal as you study your chart, your personality and your specific soul’s intent. Just know that this new year is starting with a bang…two eclipses pointing at such important topics. Politics and honesty…do the two words even go together? In the stars they do, and in the future they will. That’s what this eclipse suggests: change is in the air. If you want to know more, or study your own chart, please join our class waitlist. We are standing by, staring up to the sky, wanting nothing more then to enlighten you to what the world needs more of: consciousness and kindness. How? By studying the stars. Einstein was influenced by an eclipse…we all can be touched by the stars!